Begin by gathering your ingredients and preheat the oven to 375°F. 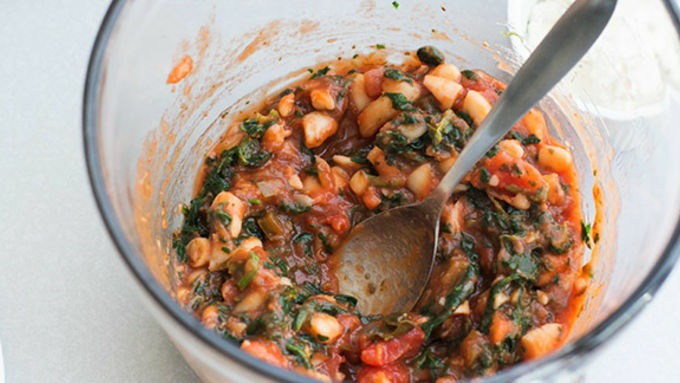 In a large bowl combine the thawed spinach, beans, and pasta sauce. 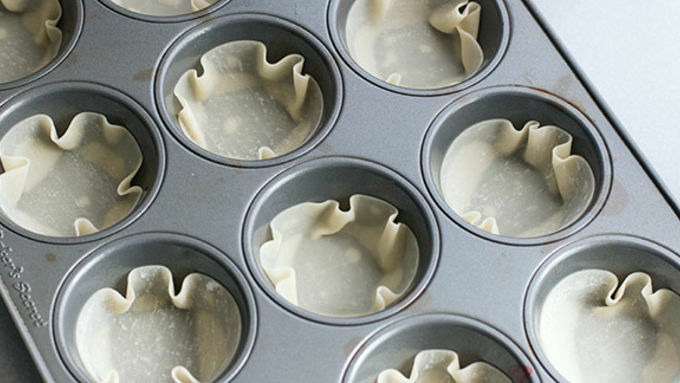 Lightly grease a cupcake pan and press a wonton wrapper into each section. 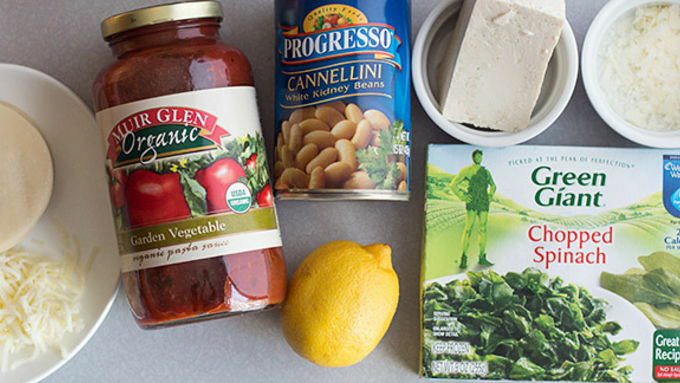 Top that with a teaspoon of tofu ricotta, followed by a little mozzarella, and then a tablespoon of the pasta sauce mixture. 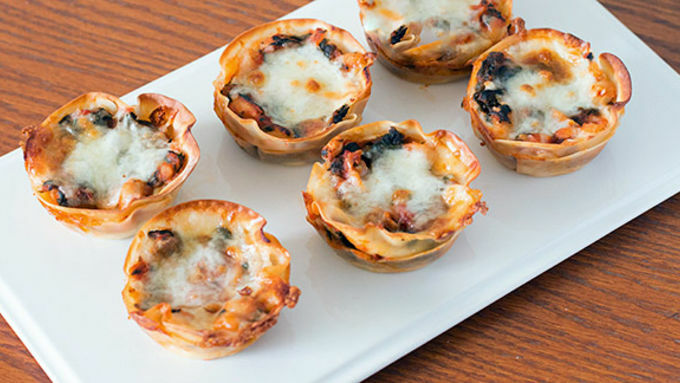 Repeat the layers (teaspoon of ricotta, mozzarella, then a tablespoon of sauce) and top with a final bit of mozzarella. 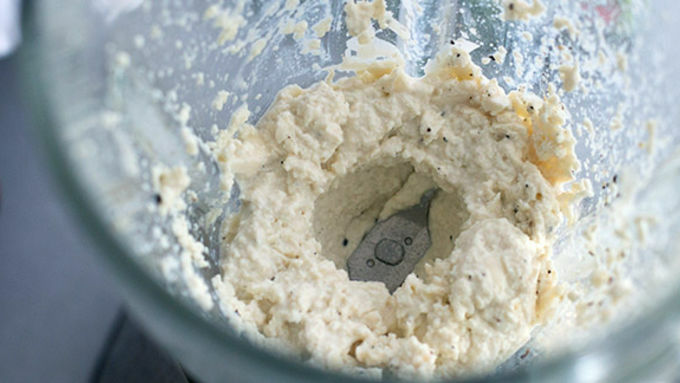 Bake for 15-20 minutes, until golden brown and bubbly. Let sit 5 minutes in pan before removing by using a knife around the edges to loosen each one. 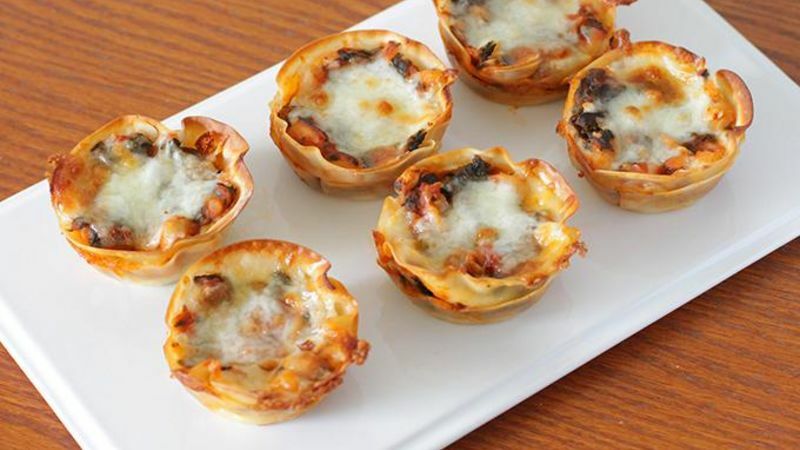 These vegetarian lasagna cupcakes are great mini bites for all lasagna fans. 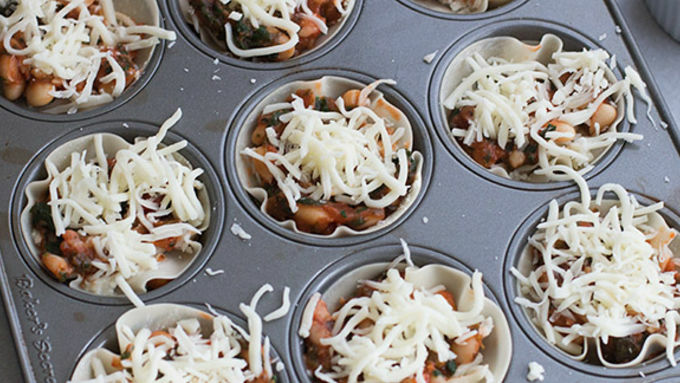 Stuff with cheese, tofu, beans, veggies ... the possibilities are endless! Lasagna’s one of those things that you think you can only eat every once in a while because of the calories. 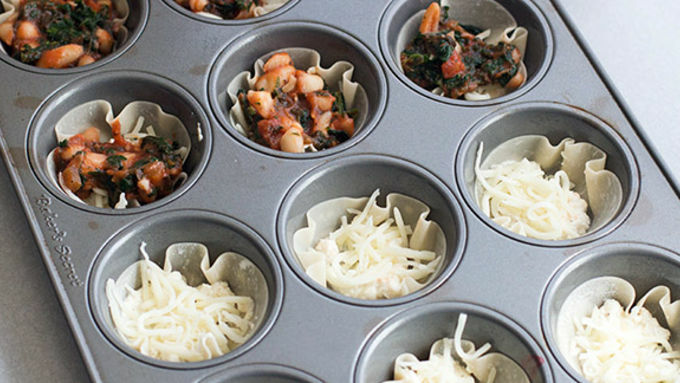 But Mind Over Munch went and turned tofu into ricotta, making lasagna a lighter option in cupcake-sized goodness for any party or easy dinner.